Math centers are a large component of guided math, but in order to differentiate and meet the needs of our students on a daily basis, creating and keeping up with math centers can be so time consuming. So, how can you simplify math centers in order to make them realistically manageable? Here’s my solution: GO DIGITAL! Technically, what constitutes a math center? Math centers provide opportunities for student to practice skills that have been previously taught. That's it! 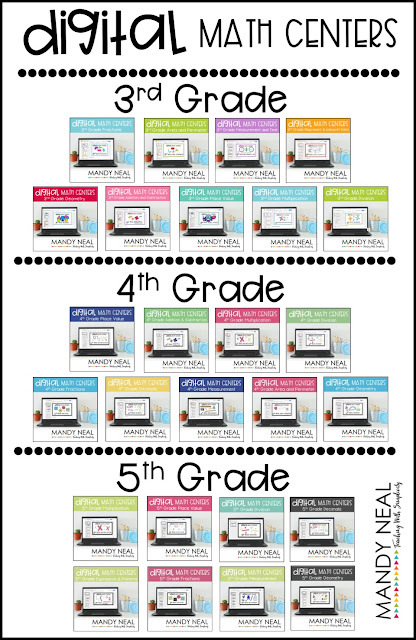 There are an abundance of printable math center available. I love them, because I just love making things cute. What I have noticed though, is that I can’t keep up with the demands of putting them together. I have to print them, cut them out, laminate them (I don’t want to have to start the process over again), and then store them. It’s all so time consuming, and I always feel that I’m behind. I’ve discovered that creating and implementing math centers does not have to be difficult, and that’s why I’ve gone digital. Do you have a SmartBoard? Maybe one tablet or iPad? A Chromebook? Maybe you’re even lucky enough to have a classroom that is 1:1 with technology. No matter what level of technology you have, you can make it work! Below are 5 ways to make digital math centers work for you. 1. 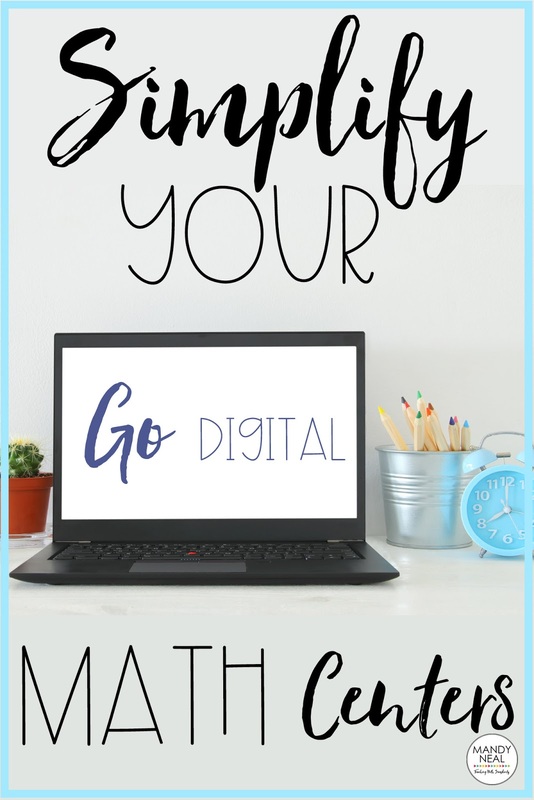 Use Google Classroom to assign students these digital math centers. These math centers are highly engaging and include 10 interactive math centers per topic. Not only do you receive the math centers, but they also include a digital and printable recording booklet, and answer key. Everything you need to implement centers that you can easily differentiate! 2. Quizziz: Quizziz is similar to Kahoot, but it allows students to work self-paced. Create “quizzes” for students to practice the skills that you have previously taught. 3. GoConqr: Use this site to create flashcards and interactive quizzes. You can make these activities timed or untimed. 4. Digital Task Cards: Who doesn’t love task cards? The digital version takes task cards to a whole new level. Save time, money, and space! Use the PDF version or assign the Google Slides version on Google Classroom so that you can add and/or delete task cards that you want specific students to complete. Differentiation at its easiest! 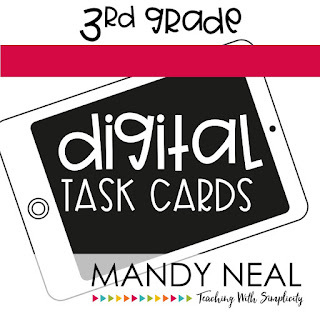 Check out these digital math task cards! Sign up for my FREE newsletter to be notified when available! 5. Free interactive math games are a dime a dozen. Assign specific games via Math Games, Hooda Math, or Splash Math. Students will love them all!